As jigsaws have such a long, narrow blade, it can be difficult to guide the blade in a straight line without it wandering off course. 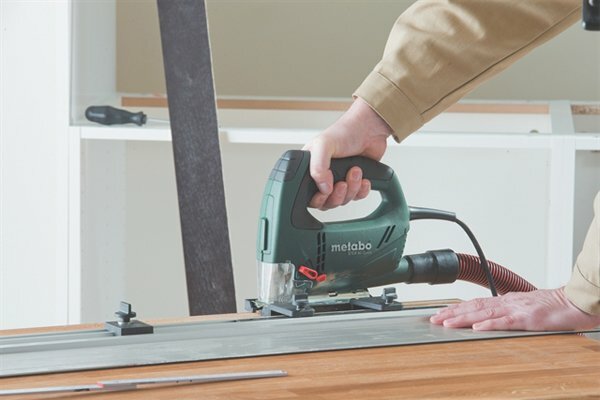 For this reason, when making long, straight cuts, using a straightedge or parallel guide is recommended to ensure that your jigsaw does not stray from the cutting line. 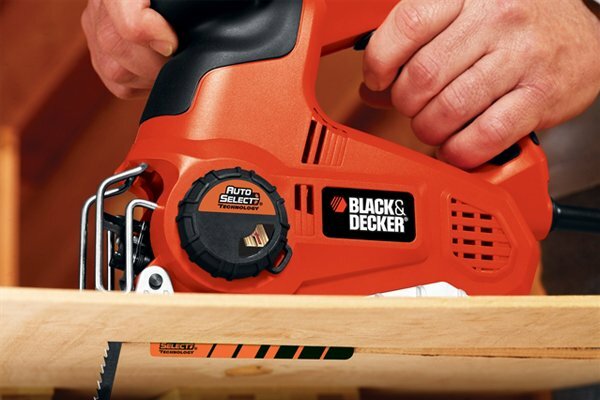 Mark the cutting line onto your workpiece. 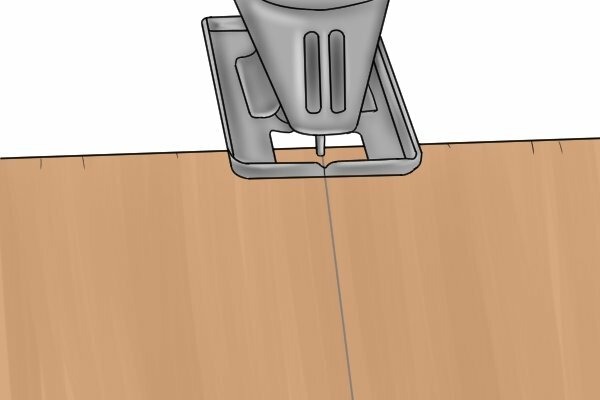 If you are using a straightedge, you will first need to work out the offset distance of your jigsaw. This is the distance between its blade and the outer edge of the shoe. 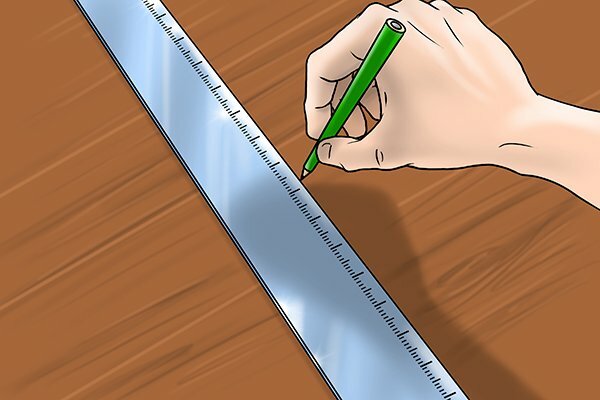 When you clamp your straightedge to your workpiece, it should be positioned as far away from the cutting line as the offset distance. 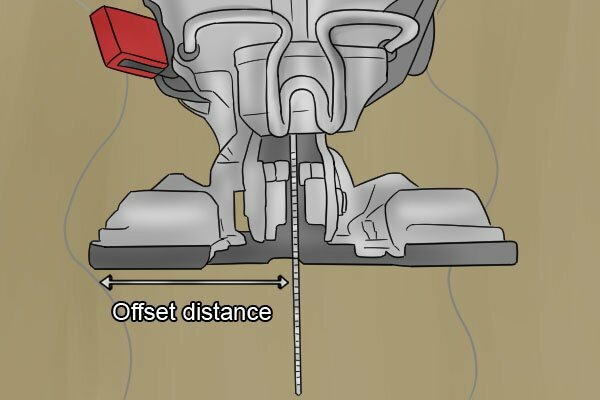 After selecting the appropriate orbital action and speed settings, align the blade of your tool with the cutting line and, if you are using a guide, the side of the shoe with the straightedge. Set the front of the shoe onto the edge of the workpiece. Turn on your jigsaw and begin to make your cut, slowly following the line you have marked.